PHOENIX - Gil de Ferran may be the king of CART but the Penske driver found out yesterday winning in the Indy Racing League isn't going to be a given. 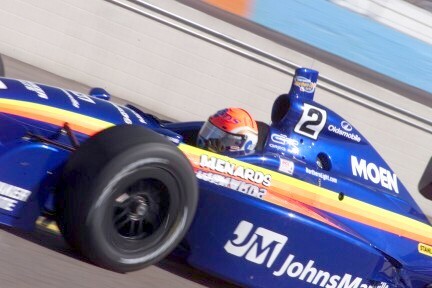 The 33-year-old Brazilian driver won the Fed Ex Championship Series title for Penske in 2000 and will run selected events in the Indy Racing Northern Lights Series this season, including Sunday's Pennzoil Copper World Indy 200 at Phoenix International Raceway. Penske fielded two Dallara-Oldsmobiles with de Ferran qualifying fifth Saturday and teammate Helio Castroneves qualifying 17th. Sunday's race is considered more of a test session for Team Penske as they prepare for a return to the Indianapolis 500. With former Chip-Ganassi driver Juan Montoya winning the Indy 500 last year in his first run in an IRL car, the expectations are high this weekend for the Penske drivers. But it was IRL veteran Greg Ray taking the pole in his Dallara-Oldsmobile with a qualifying speed of 177.663 miles per hour. Incredibly, it's Ray's third straight pole at Phoenix. "I really make it no secret that I enjoy qualifying. I love that single speed event. But it does nothing for the championship," Ray said after claiming the pole. With limited testing at Phoenix this year, the Team Menard driver said he didn't know what to expect. "You can tune to adjust, but between the temperature changing, between rubber buildup and then all the different tires, different cars, different lines, it's really just an educated guess. We didn't know how quick we could go because we didn't get to test here as much as we'd like," he said. 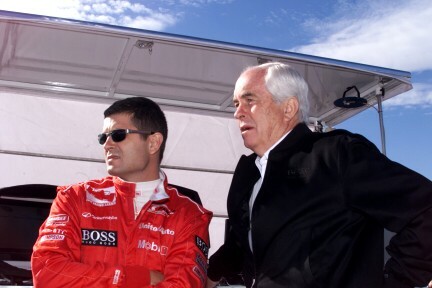 The Penske CART drivers had mixed success in qualifying, and both agreed the difference between the two types of racecars is significant. "They (Indy car) have a lot more downforce. It had a little too much push, but we're OK. In this car the car really behaves quite differently. It's been a very steep learning curve for me. 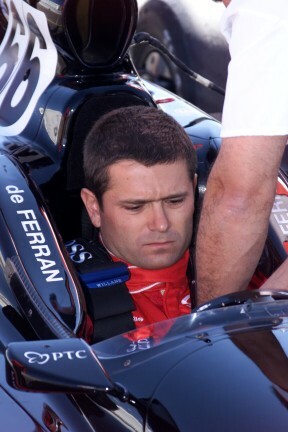 I wasn't 100 percent pleased with my qualifying effort," said de Ferran. Castroneves, meanwhile, ran into engine trouble and his crew spent Saturday night replacing the powerplant. "Unfortunately we had engine issues. We keep changing and trying to figure it out. We're going to change everything tonight. It's a lot of work for the guys, but that's what we have to do," he said. The Pennzoil Copper World Indy 200 is scheduled to begin at 4 p.m. Eastern Sunday and will be shown live on ABC.